One of the proclaimed first self standing outdoor advertising flags. Telescopic flags have been around for a while and for good reason. 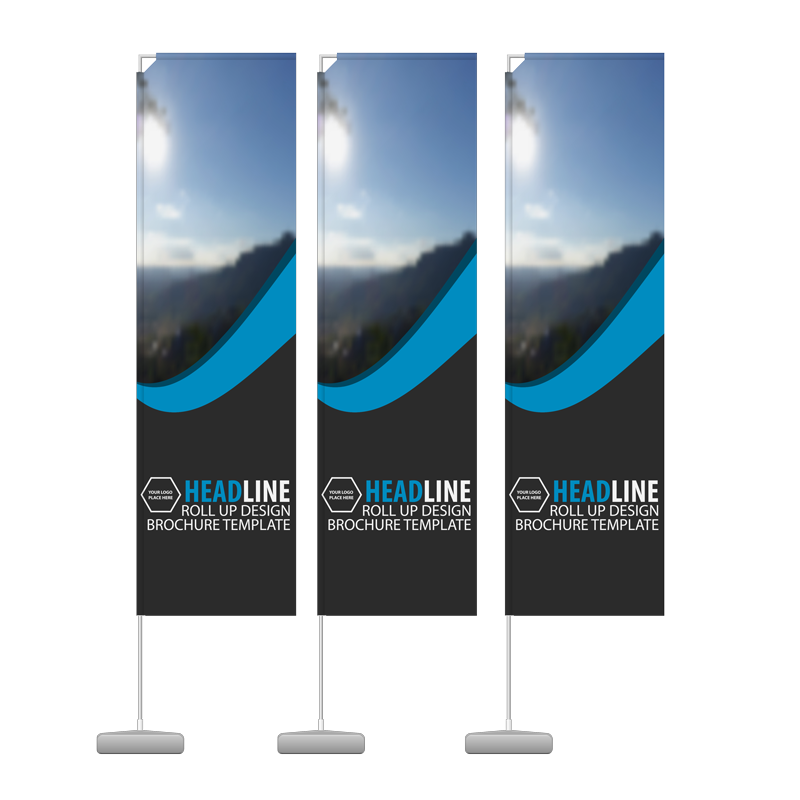 We at BannersOnline like the telescopic flag, which comes in two sizes – 3m and 4m high. All our telescopics come with a double sided print as we believe it is important that you can read the flag properly from both sides. The beautifully printed fabric can be easily folded when you need to store it and then just slides over the sturdy pole when in use. The pole comes in two to three pieces for ease of transporting. The included spike will come into great use for outdoors but an extra cross base will be needed there is no place for a spike.